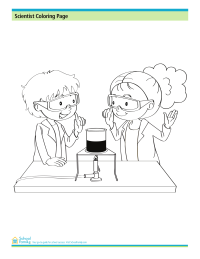 Encourage your budding scientist with this sheet showing a boy and a girl in a lab setting. 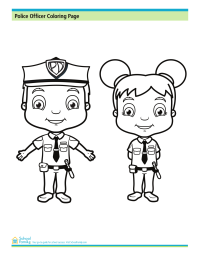 Have fun coloring the uniforms of the boy and girl police officers on this sheet. Spray that hose! 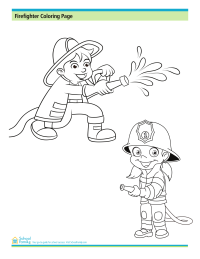 Kids will have fun with this coloring sheet showing two small firefighters in training. 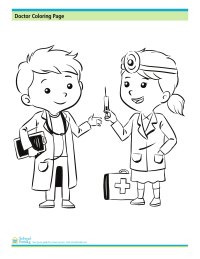 Enjoy this coloring page showing a boy and a girl dressed as doctors. Tug boats are small but mighty! 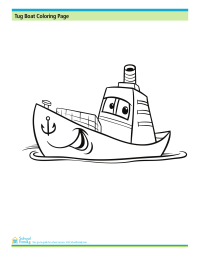 Use your imagination to color in this boat.